My son Tyler Henry is wearing the costume. 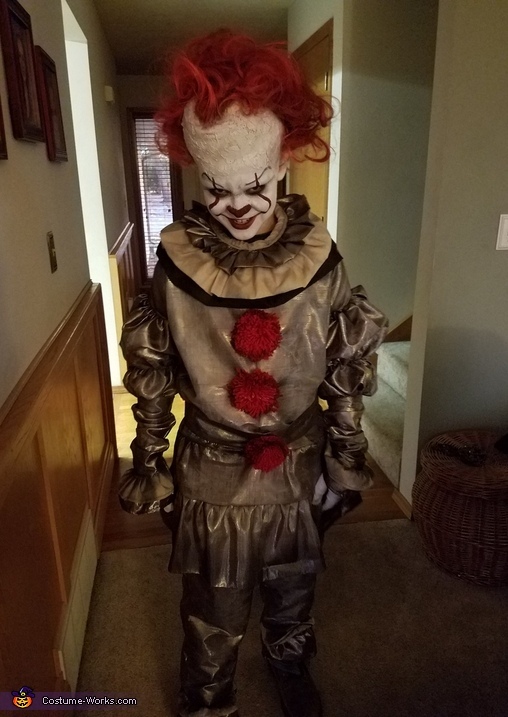 Grandmother made the costume and I (mom) did the makeup. Used utube video for reference. Cost was minimal.